Iron Fist is coming back from the brink of death. Bruised and battered by critics upon the release of its first season on Netflix in 2017, Marvel's Iron Fist faced the need for some serious image rehabilitation going into its sophomore outing. But from the sound of things, the show has successfully started to turn things around with regards to its quality — and it's even set a Rotten Tomatoes record in the process. According to a breakdown of review data by Rotten Tomatoes, Iron Fist has set a record for the biggest jump in quality between the first and second seasons of a series that the site has ever measured, topping a list of shows that received major bumps regarding critical favor during their second times around. It is important to point out, however, that just because Iron Fist has earned the accolade of "Most Improved" from the review aggregating website doesn't mean the show is actually any good now. According to Rotten Tomatoes' breakdown of the second season, only 50% of critics across 30 reviews deemed the series as being worth a look in its second year. On an A-to-F scale, that's still clearly a failing grade, though not nearly as execrable of a score as the first season's 19%. When the first season of the series dropped last year, it promptly earned the Marvel brand one of the biggest black eyes it's suffered in the last decade, with critics deriding the show as one of the single worst properties Marvel Television had yet produced. It was a feat which to this date has been exceeded only by ABC's regrettable Inhumans series, which was released the same year to a 12% score on Rotten Tomatoes. 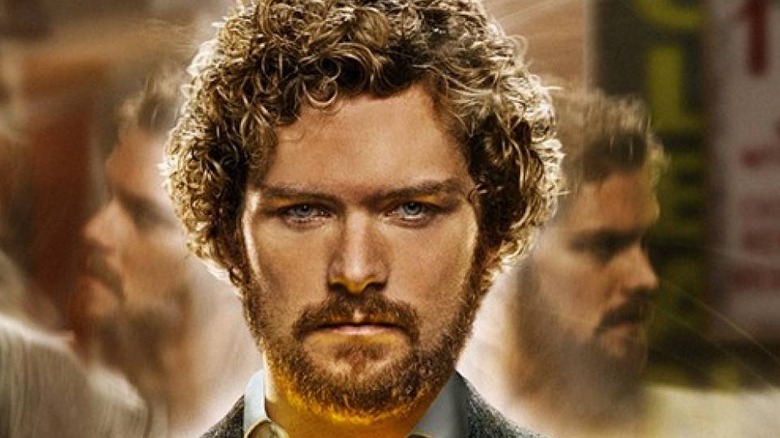 Despite the major bump from critics when it comes to the second season's review score, it's hard to characterize the series' current standing as being worthy of watching, especially if you're not a fan of the Iron Fist character already. Unlike series such as Hannibal, The Expanse, and Breaking Bad, which started good and then got even better during their second years, Iron Fist started terribly and has now clawed its way up to "middling". In other words, it's still not exactly appointment viewing, but it probably won't ruin your day to see an episode anymore. It would seem that this news is mostly relevant for those masochistic souls who braved the series' first season, fighting their way through hours of embarrassingly bad television like warrior monks of K'un-Lun. For their efforts, those brave Marvel completionists have been gifted with a season of television that is — according to Rotten Tomatoes' complied reviews — now a "fine", "mildly entertaining", "merely boring" series that nonetheless remains "in search of an urgent reason to exist". It sounds… awesome. Partially explaining the turnaround in quality for the series, Iron Fist's second season was written under the guidance of new showrunner Raven Metzner, the Sleepy Hollow producer and writer of Elektra who replaced season one's Scott Buck. Buck has earned himself a peculiar reputation as a showrunner over the years, having notoriously overseen the Showtime serial killer series Dexter as it fell from prestige drama into self-parody during its final three seasons. He was also the showrunner for Marvel's Inhumans, and the only reason he wasn't replaced in that capacity probably has to do with the show being quietly cancelled after eight profoundly bad episodes. Alongside that personnel shift, Iron Fist's second season also saw marked improvements to its cinematography and fight choreography, which are generally regarded as being pretty important ingredients for a martial arts superhero show. Other reported highlights include an increased focus on the characters Misty Knight and Colleen Wing, who team up during the season to enjoyable effect. In short, while Iron Fist is still the lowest-rated series in the Marvel-Netflix pantheon, it has significantly closed the gap during its second batch of episodes. Unfortunately, it still seems to be plagued with the same issues that inexplicably affect all of the other shows in Marvel's Netflix shared universe. Whether it's Daredevil, Jessica Jones, Luke Cage or The Punisher, every one of the streaming Marvel series has consistently been critiqued for having more episodes per season than its stories can support, with problematic pacing, aimless subplots, and subpar production values to boot. The fact that Marvel Television has yet to do an across-the-board course correction for these consistent complaints after nine full seasons of television is nothing short of baffling. Now that Iron Fist is watchable, maybe they should work on that part next.